Special offers for special people. We love you! Here at Adroit Garage Doors, we understand the importance of family and love and showing these special people in our life just how much they mean to you. If your special someone has been complaining about the noise in your garage, then we’ve got your covered. From our family to yours, we understand your needs and concerns. Free garage door and garage door opener tune-up for first time customers with the purchase of any garage door service. As a special introductory offer to all of our first time customers, we aim to show the value of our services and why so many of our customers choose as as their preferred local garage door company. Call today for more information and to schedule your courtesy garage door and garage door opener maintenance! Receive $75.00 Off Any Size LiftMaster LED Belt Driven Garage Door Opener with WiFi and Backup Battery. This applies to 7′, 8′, and 10′ heights of the garage opening. – Works during a power outage. – Enjoy extra peace and quiet with the long-lasting DC motor. – Smooth Start – Extend hardware life and reduce maintenance with smooth start/stop operation. – Safety Sensors – Protect people and vehicles with safety sensors that stop the door from closing on obstructions Call our office for more information today! With any garage door repair service, receive a free set of (10) nylon, teflon-coated 10-ball bearing garage door rollers. Installation is included so there are no additional fees. 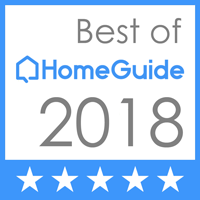 Our company has been voted the Best of Gwinnett for 2017 & 2018, and we’re eager to share our appreciation to all of our loyal customers! As a local garage door company, these awards mean the world to us as we work really hard to provide 100% customer satisfaction. As a result, we would like to thank our loyal customers and share the kindness with our local communities in Gwinnett County! For more information or to schedule an appointment, please call to speak with one of our friendly staff members! Just had a new garage door installed by Adroit. Let me first say that Kayla is absolutely amazing!! Every company needs someone like Kayla representing them. That said, the experience was good, the door looks great and I am beyond pleased. I am already recommending them to everyone I know.